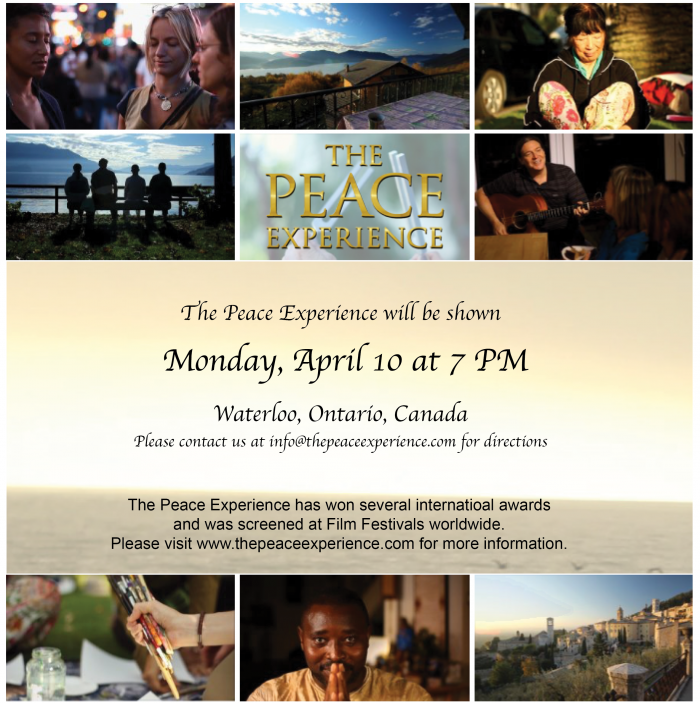 The Peace Experience is coming to Canada! The screening will take place in Waterloo, Ontario on Monday, April 10 at 7 PM. Please contact us at info@thepeaceexperience for address details.